India is a country, where you’ll find a number of places which will take your breath away. Such beauty & galore. Though March is considered the end of tourism season in India, some places are best visited during this period of time. With winter just out of sight & feel, India is blooming with colourful flowers & pleasant climate. If you are someone who prefers a luxurious vacation, this list is for you! 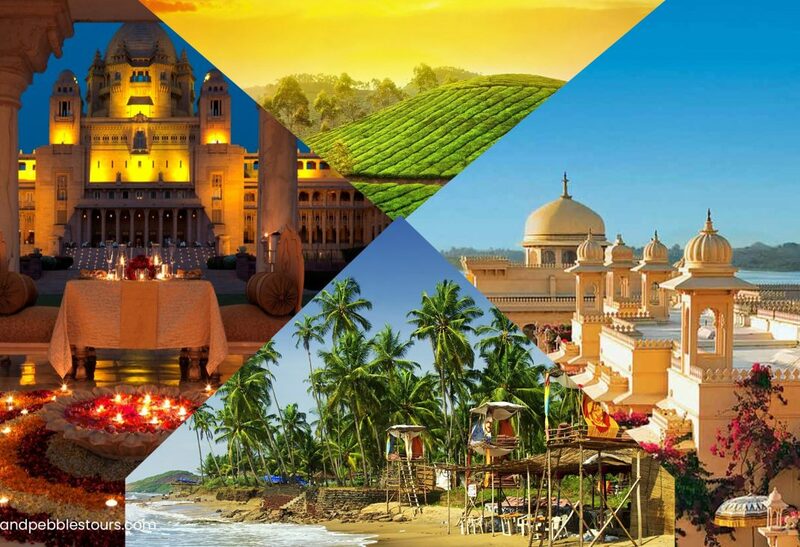 The Best Luxury Destinations In India 2019. God’s Own Country has timeless beauty & the iconic attraction of this place is Munnar. The verdant hills are densely forested and support plantations of coffee and fragrant cardamom. The town itself is little faded but the landscape is a stunning, rolling vista of green; perfect for trekking, rafting or adventure sports – or for admiring while enjoying a quiet cup of tea. The fragrance & the feel coupled with the tea estates will give you a luxurious feel. Stay at a luxury resort & take a plantation tour. Overlooking the Arabian Sea, Goa is a small state, renowned as one of the most popular party destinations in India. With sun-kissed beaches, cascading waterfalls, Portuguese architecture, old temples, abundant fauna, fascinating museums and a vibrant nightlife, the state will lure you, again and again, & will give you that luxurious feel. We will give you a chance to enjoy this amazing place in a royal manner with our luxury packages in Goa. Jaipur, the capital city of Rajasthan is one of the most popular tourist spots in India. The rich heritage of many powerful rulers in the past gleams in all its glory in the city, in the form of forts, palaces, havelis and more. Since Jaipur is spread with a number of palaces, a few of these have been turned into luxury hotels that give you the feel of living in a bygone era. While you are in Rajasthan, visit the romantic city of lakes too. All it takes is one sight to fall in love with this charming floating city. Udaipur is called the Venice of the East, but the different Rajasthani hues of the city surely make it stand out. The City of Lakes has to be one of the Best Luxury Destinations In India 2019.